Did you get the dreaded Instant Pot Burn Message or Ovht Error on the display screen? 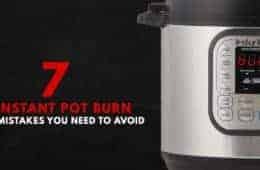 Instant Pot Burn is one of the most common errors new potheads run into. Below, we’ll go through what it means when the Instant Pot says Burn, the 7 most common mistakes that trigger the Burn error, and what to do when you get the Instant Pot Burn Message. *Click on the links below to jump to a specific section. A. 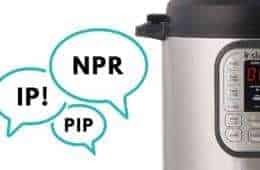 What Does Instant Pot Burn Message Mean? B. Why Does My Instant Pot Says Burn? C. What to Do When There’s Instant Pot Burn Error? *Note: We’ve been hearing & seeing some new Instant Pots triggering the Burn Message even when users didn’t make any of the mistakes below. 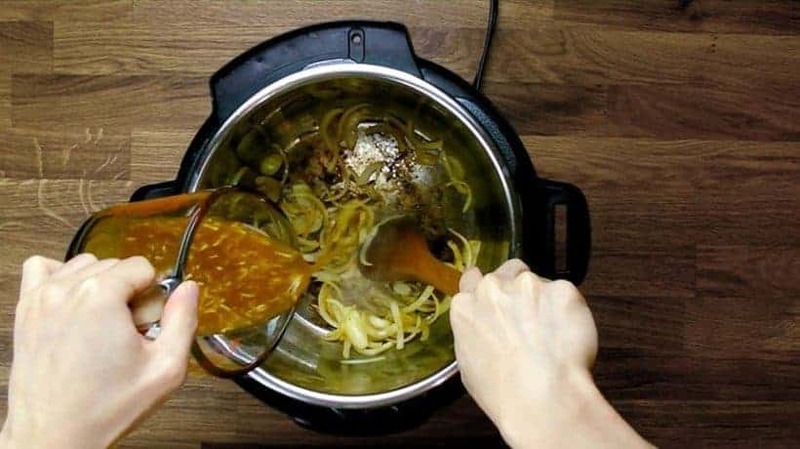 This has even happened to some experienced Instant Pot users who were using their usual tried & true recipes in their newly purchased Instant Pots. 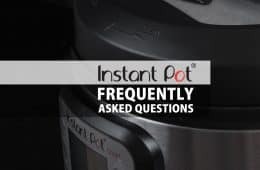 We have yet to confirm with the Instant Pot Company if they have made adjustments to their newest Instant Pots. The Burn Code on Instant Pot simply means there’s an Instant Pot Overheat Error. Instant Pot has a built-in “burn-protection” mechanism that prevents users from burning food in the Instant Pot. When it detects a high temperature (140°C or 284°F) at the bottom of the inner pot, the “burn-protection” mechanism suspends heating. This often means the bottom layer is overcooked and getting dry. This is when you would see the “Burn” Message or “Ovht” Error on the screen display. 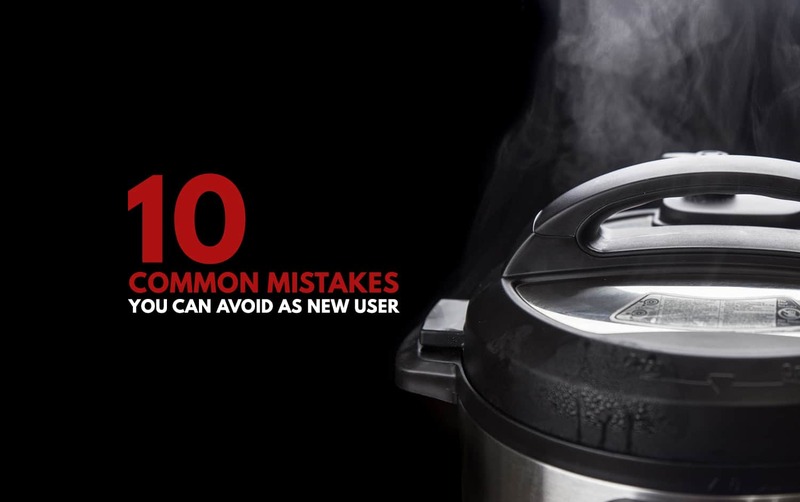 Here are the 7 most common mistakes users make that trigger the Instant Pot Burn. When there’s not enough thin cooking liquid in the Instant Pot, it may not be able to generate enough steam to come up to pressure. The bottom of the pot will become too hot, thus triggering the “Burn” code. *Pro Tip: This issue happens more often when cooking very high starch content (i.e. beans, rice). Unless the tested recipe stated otherwise, we recommend new users to use 1 cup of total liquid until they get comfortable cooking with the pressure cooker. Follow our Tested Instant Pot Recipes with tried & true Liquid Ratios & Pressure Cooking Time until you’re comfortable creating your own. If your cooking liquid is too thick to come up to a boil, heat will build up at the bottom before the top starts to boil. Your pot may not be able to get up to pressure & triggers the Burn message. Make sure you have thin liquid at the bottom of the inner pot. Do NOT mix in the thick, saucy ingredients such as tomato paste or tomato sauce with other ingredients. Simply layer the thick sauce on top of the other ingredients. In our Instant Pot Chili Recipe, we have chicken stock mixture & other ingredients at the bottom of the pot. Then, we pour the crushed tomatoes right on top of the other ingredients. As shown in below photo, we just let them sit on top, then proceed to close lid & start pressure cooking. No mixing involved. Always add thickener such as cornstarch, flour, arrowroot, or potato starch after the pressure cooking cycle. Keep in mind there are some exceptions when only a very small amount is used. Example: In our Instant Pot Umami Pot Roast Recipe, we thicken the gravy with cornstarch mixture at the final step after pressure cooking. Some food such as cream or milk scald easily in the Instant Pot. They will create a film at the bottom that will overheat the inner pot. Do NOT add cream or milk directly in the inner pot before pressure cooking. There are 2 workarounds for recipes with cream or milk. 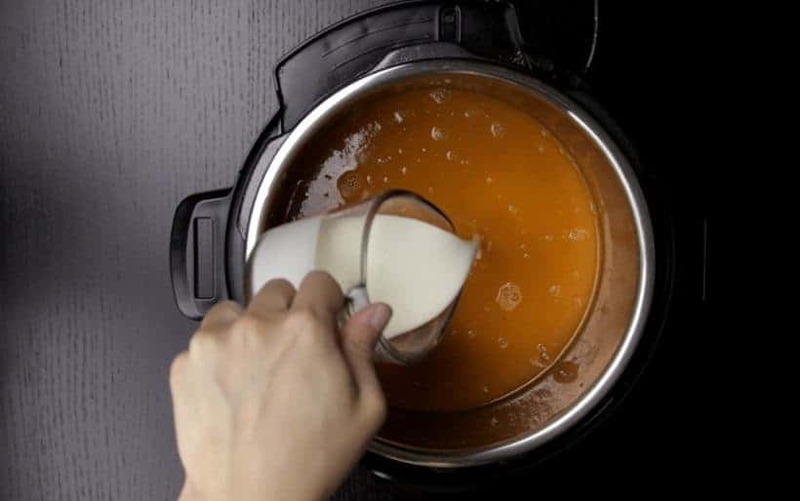 Example: In our Instant Pot Tomato Soup Recipe, we added the heavy cream after pressure cooking, blending, and straining the soup (as shown in below photo). 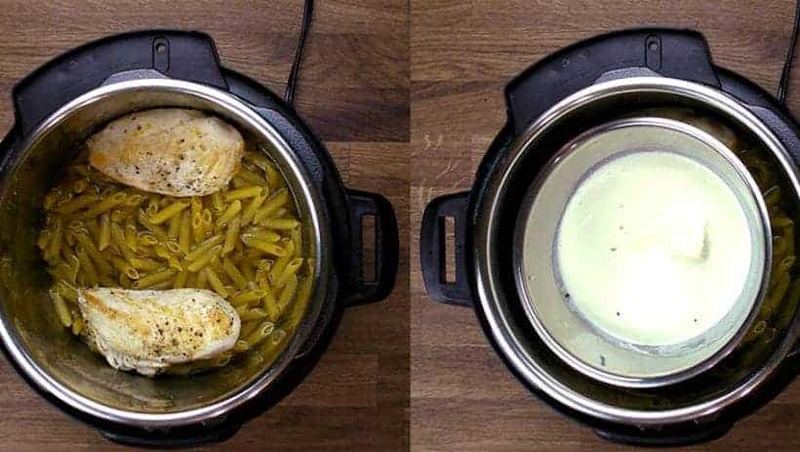 Example: In our Instant Pot Spinach Chicken Alfredo Pasta Recipe, we prevent the risk of scorching by cooking the homemade Alfredo Sauce (includes heavy cream & grated cheese) separately in a smaller stainless steel pot on top of the pasta (as shown in below photo). Instant Pot is awesome for allowing users to saute directly in the inner pot. Take note that after sauteing, there will be some brown bits stuck to the the bottom of the pot. Don’t worry! These are not burnt food debris. However, when users don’t fully scrub these flavorful brown bits off the pot before pressure cooking, it’ll trigger Instant Pot to think the food content inside is burnt. After sauteing, be sure to fully deglaze the pot bottom by pouring some thin cooking liquid (e.g. broth) then scrub the flavorful brown bits off with a wooden spoon (as shown in photo below). You don’t need to discard the flavorful brown bits. Forgetting to seal the pot is a common rookie mistake. When the Instant Pot isn’t completely sealed, more liquid than necessary will escape from the pot as steam. Therefore, there won’t be enough liquid in the pot – results in the same situation as Mistake #1 above. Make it a habit to turn the Venting Knob to Sealing Position every time you start pressure cooking. Don’t walk away until you made sure the Floating Valve has popped up. When steam is leaking like below photo, it means the Instant Pot isn’t properly sealed. Similar situation as Mistake #5 above – more liquid than necessary escaped from the pot as steam, so there was not enough liquid in the pot. *Pro Tip: Same issue can happen with the Floating Valve – if steam leaks for over 2 mins, check the Floating Valve & its’ silicone seal for food debris, damages, or if the silicone seal is seated properly. Make it a habit to ensure the sealing ring is properly installed, check for damages or debris every time before you close the lid for pressure cooking. Things get chaotic in the kitchen. Sometimes unwanted food, liquid, or things can get on the heating element without you knowing. When you unknowingly place the inner pot on top and start cooking, the objects will burn. Always check to make sure the heating element is clear of objects, and wipe dry the inner pot’s exterior before placing it inside the Instant Pot Housing. C. What to do when I have the Instant Pot Burn Error? The Instant Pot is safe. It simply stopped heating up. If your pot is under pressure, first release the pressure in the pot. *NEVER EVER force open the lid. When the pin has dropped, carefully open the lid. Check if there’s anything stuck to the bottom of the inner pot. *Pro Tip: If the pot contains very thick sauce, wait a few more minutes before opening the lid. Minor Burnt Food: If there’s only a little bit of food stuck to the bottom, use a wooden spoon to scrub it all off. Major Burnt Food: If there’s blackened burnt food stuck to the bottom, first remove all food content, then soak the inner pot with soapy water & scrub. *Pro Tip: If the burnt food is difficult to remove, you can try Pressure Cooking water with vinegar, Natural Release, then scrub some more. *This is when an extra inner pot comes in handy. If there’s nothing stuck to the pot bottom, check if there’s anything stuck between the inner pot and heating element (Instant Pot housing). Check if silicone ring, venting knob, valve is defective, installed properly, or if anything is obstructed. Place ingredients back into the cleaned & dried inner pot. Dilute the cooking liquid until consistency is thin. Resume the pressure cooking & adjust the pressure cooking time accordingly. *Pro Tip: For reference – add 1 – 2 cups of thin cooking liquid – please adjust this amount accordingly to the type of food you’re cooking & the burnt situation. We do update our site with new recipes weekly. Just the video part is going slowly as we have a few things on hand at the moment hehe. 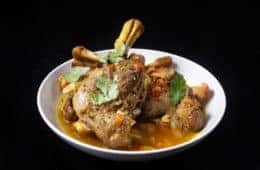 I wish I read this post before adapting one of my Ninja multi cooker recipes to an Instant Pot recipe! All would have gone well I am sure except for me adding cheese to it. In the Ninja you add it all and it does everything it has to do for the next 30 minutes. Yup, the Instant Pot is a little different I am finding out. I have tried making pasta sauce several times in the instant pot. Every time I do, I get a burn message. I usually have sausage and meatballs, (uncooked) I add to the sauce, so the slow cooker setting doesn’t work to fully cook the meat. I want to use my pot for this but don’t know any way tom stop the burn. What can I do? Make sure the sauce is thin enough and you can layer the sausage and meatballs on top. Well, I’ve been reading all the remarks here and I should probably contact the Instant Pot people. I have an Ultra 3 Quart I got for Christmas. I got the Burn reading on the first recipe I cooked from the Good House Keeping Instant Pot cook book. I thought maybe the recipe was a little too big for my pot thus caused the burn warning. On the second time around, I did half of the recipe with the same result. So apparently my unit is too sensitive. Thanks for this great website, I appreciate it! Hope you can get the issue resolved soon! Late reply! The burn notice usually shows up right before getting up to pressure. Hello! I recently cooked a meal and half way through it stopped working. Unfortunately I found a dime between the pot and the hot plate. Now the pot does not turn on. Is here something I can do or am I out of luck and just need to purchase a new instapot? Late Reply (We were on a trip to Asia)! Thank you for your question. I recommend contacting the Instant Pot support and see what they can do. Hopefully you can get this resolved soon. I live at the 6500 altitude and have noticed that I need to add a little more liquid and cook a little longer. I have also been cooking rice on the low pressure instead of high pressure. When I cook on high pressure I get the burn indicator coming on. I haven’t noticed that happening on the low pressure setting. I haven’t made much but rice so far, do you think cooking on low pressure for everything else is what I need to do? Thank you for your question. Have you tried doing the water test with high pressure? If the burn indicator comes on for water test, I recommend contacting the instant pot support for assistance. Thank you for your question. Have you tried the water test on the Instant Pot. Please contact the instant pot support if it gets the burn error during the water test. IP newbie here. I got the IP LUX 8qt this past Sunday. I did the first steam test and it went great. Cooked my first meal, & it went great. I cooked cracked chicken last night and the chicken stuck to pot also steam was coming from the lid handle. Tonight I cooked the meatloaf and potatoes with 1 cup of water. Again steam came out from the lid handle and my potatoes were stuck to the bottom. I cleaned the pot and did another steam test and no steam leaked out. I am stumped on this one. Any ideas? Could it be a default one? I do not get any burn messages nor does it just stop. Thank you for your question. When steam are coming out from the lid handle, it usually means the silicone ring is not installed or not installed properly. Just got a new InstantPot Ultra. I get a BURN notice nearly every time I use it and so far have only “burned” water as that’s the only thing I’ve put in it for steamed eggs. I’ve been talking to their tech support to send it in for another one. I have two old ones that still work great. Thank you for your comment. It does sounds like the Instant Pot you received is too sensitive. Hopefully you can get it resolved with the tech support soon. Thank you for your question. I will say do not turn it back on until it is completely dry. Please contact the instant pot support and see if they can help. Hello, thank you for your post. I am writing to ask your opinion on yet another possible solution. Background: After my first, much loved 6 quart DUO IP started malfunctioning, I received a new one, a newer model, and it gives me a “burn” message on my TNT spaghetti sauce. After some research, I solved (or thought I solved) the issue with an added cup of water; however when I emptied the pot, I noticed some scorching on the bottom. This had never happened in my old IP. Thank you for your question. If the sauce is too thick, it will not be able to get up to pressure even with the low pressure setting. I am a new Instant Pot User Duo 6 quart. Just got it end of December. I have experienced much of what others have written about with the Burn message. I sort of intuitively figured out what to do in response, i.e. release the pressure, remove food, scrape off bottom, add more thin liquid resume. Beside the extra time and uncertainty of total cook time, I was frustrated because I was following recipes from a book I thought I trusted step by step. I am wondering if the newer Pots are more sensitive that way. I like your recommendations about layering, and not adding tomato paste or thickener to the end. That definitely was the problem a couple of times. thanks for this post, I think is helping many. Yes, I believe some of the newer pots are more sensitive. Hi! I am a brand new IP user and love my 8qt duo! I got my IP the day after Christmas and have cooked in it almost every night since. The past two nights I have gotten “burn” errors. The first meal was chicken and dumplings, and the second a cheesy chicken, broccoli and rice meal. Chicken and dumplings was extremely thick and didn’t layer properly when I was prepping everything, so that makes sense, but tonight’s meal is making me crazy. Everything goes well until the pin pops up, then the error shows. Is it because my recipe called for me to stir the rice into the broth before adding the chicken? Thank you for your question. It sounds like the liquid ratio is off on the recipe. I am so thrilled to have discovered this website; you answer questions in the most comprehensible manner – thank you so much! I was particularly interested in learning what to do in the sticky situation of a burn message. When I was faced with that dilemma, I honestly didn’t know what to do so I tried to use common sense and I hit the cancel key. At that point I did a quick release and the steam coming out of the valve seemed to go on forever! When it stopped hissing and spitting, I watched for the pin to drop – it didn’t! I gently nudged it down and I was able to remove the lid. What I saw going on in the pot was shocking! Everything was bubbling (meatballs covered with 40 oz. spaghetti sauce as per recipe) and there was sauce all over the inside of the lid including the sealing ring. The meal was saved but I thought my pot was ruined. Thank God, it is still working fine. So, if I am understanding your instructions correctly, you advise to release the steam as soon as you see the burn message. Is that right? And at that point do you remove the lid and deglaze and resume pressure cooking? Thank you so much! You will want to release the steam as soon as you see the burn message. As soon as the floating valve (metal pin) drops, it will be safe to remove the lid. Is the 1 cup of liquid rule for all sizes of instant pots, I have the 8 quart size and I’ve noticed that most recipes I seen are for the 6 quart. Thank you for your question. For most recipes, 1 cup of liquid will work fine in the 8 quart. Hi there! Instant Pot newbie here. Attempted risotto tonight and got the burn warning but thanks for your helpful site on what to do! I think my seal ring may have been unseated as steam was coming out around the entire lid and it never did come up to pressure. When I opened it the liquid was all evaporated and some rice was cooked on the bottom, but the rest was actually perfectly cooked! I’ll be sure to check the ring next time though! Thanks for your great site! I’ve tried the pasta bolognese and the butter chicken with the suggested amount of water and both times I have gotten the burn signal before it even gets up to full pressure? What am I doing wrong? With the butter chicken I actually added a bit of extra chicken stock? Could this be happening because I am using the pot to saute before?? Although the recipe calls for that…help! Frustrating and wasting good ingredients. I recommend layering the thicker ingredients on top (without mixing them in). Make sure the bottom of the pot is fully deglazed. Hi Ya’ll…just used my new IP Ultra yesterday making chicken and dumplings. I am NOT a cook so am trying common recipes first. The seal ring SMELLS and I cannot get the smell out. Soaked it in a bowl of hot water and lemon juice. Still smelled. Soaked it in a bowl with hot water and white vinegar. Still smells. I have two new rings ordered but would like to know how to get the smell out of this one until they get here. Thanks for your website…it’s my newest Bookmark! I’m also getting newsletter/recipes! It is super hard to remove the odor entirely, but most people place the silicone ring under the sun to remove the odor. I recently purchased the IP Ultra 6 qt. I had a Lux prior and loved it- however this Ultra gives me the burn message on everything. I never experienced it with the older model. I follow the recipes and add more liquid when I feel it’s not enough and still after preheating it states burn and never pressure cooks. Is it possible it’s a faulty unit or have others experienced this and can share a resolution . It is possible the unit is faulty or extra sensitive to the burning error. 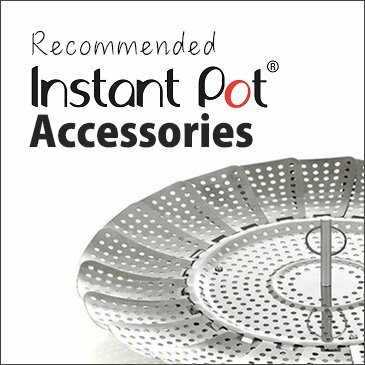 Please contact the Instant pot support and see what they think. Hi, I’m a brand new Instant pot user – have the mini. The unit seems fine, but I got the burn message a couple of times. Is there any way to cook cornmeal porridge in the instant pot? The cornmeal is heavy and sinks to the bottom. Should I use Pot-in-pot? Won’t the same thing happen? 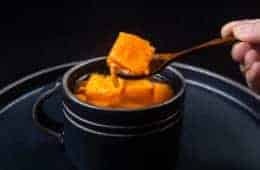 Cooking cornmeal with the pot in pot method is a good idea. Just make sure the stainless steel bowl is deep enough and you don’t fill it too full. I think it will help a little as the food is less like to stick to the bottom. However, it will be easier to clean when the burning error comes out. It sounds like the sealing ring is not installed properly or the venting knob is not at the sealing position as water should not be evaporating when the Instant Pot is sealed. Hi there, I just used my IP for the first time tonight to make chili and made the rookie mistake of mixing everything prior to pressure cooking. I keep getting that burn message after scraping the bottom, which isn’t burnt. I found your article *after* the fact of course. HI- we are getting Burn error- we’ve used our Instapot Ultra 6 quart may be 8 times and it happens every other third time. Builds pressure fine, lots of liquid in there, not a thick sauce. (The inside seal for lid is slightly loose- but it builds pressure) After stirring we found some burning on the bottom- but lots of liquid in pot and even added more water- no change. Please try doing the water test a few times. If the Burn error comes on, contact the Instant pot customer service and let them know what happened. I made a rookie mistake because I’m a Rookie, duh. My chili recipe said stir. So I stirred in the Diced Tomatoes. And I Already Knew not do this👅 but followed the directions anyway. Burn message. I am wondering if you can sauté in the no stick inner pot? Yes, you can saute in the non-stick inner pot. Hi Amy and Jacky! I am having trouble with a burn message with a clean, empty instant pot. My valve is on tight… no steam is being released anywhere… Can you help? Thank you!! Can you tell me what happened and what you were cooking in details? Was water inside the Instant Pot? Water is required to generate steam to build up pressure. My vent knob is very loose and kind of floppy. Is that normal? It pulled out very easily. It is normal. The venting knob is designed to be loose and floppy. I want to thank you for your blog. Today, I used my Instant Pot Mini for the second time and the “burning” message came on. I googled what I should do and I found your blog, which was super helpful. I think I have a defective unit, since I did everything properly, as per your checklist. (I was cooking rice.) Anyway, I’m relieved I discovered this while I was still in the 30 day return period. Thank you for relieving my angst! Hope you will give the Instant Pot another chance (by exchanging for a new one) as it is an awesome machine! 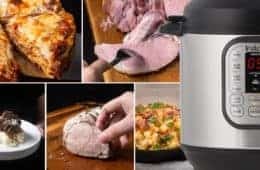 Have used my instant pot for about a year with no problems. However, today I tried to cook a meatloaf on a trivet with just over a 1 1/2 cups of water in the bottom. I got the ‘burn’ message as the water had evaporated. So I put in a new rubber ring, thinking perhaps that was why it wouldn’t build pressure. Also checked the venting knob and floating valve and saw no obstructions. Then tried again, but it wouldn’t build pressure. Now I am at a loss to determine why it won’t work. Can you suggest anything else? I would suggest trying the water test to see if it can build pressure. 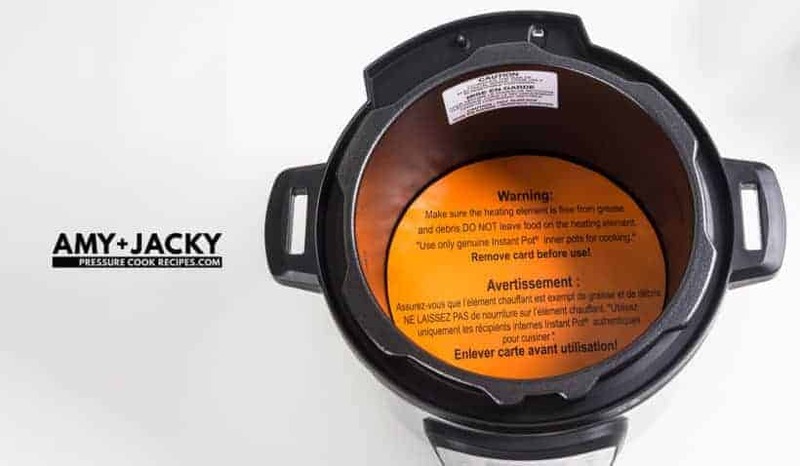 Please check if the Instant Pot is leaking steam around the lid as well. I Lynda, I had the same problem days ago and I don’t know how to solve it! Did you found the way? Thank you. Hi Amy & Jacky ! Just wanted to stop by and say how much I enjoy both of you and your great recipes ! You are both just so cute ! Just love your hard boiled egg recipe. I do the 13 min eggs and they’re perfect for us. I make lots of deviled eggs and hubby loves pickled eggs. Soooooo easy to peel, just great . Tomorrow I’m going to make your spareribs. Looking forward to trying them. Had my IP since last fall and you folks are my go to for recipes and help. Keep up the great work ! Much appreciated! I have a brand new Instant Pot. Every time I do the ‘Initial Test Run’ as per instructions with 3 cups water, it gives a burn message at the end of the 2 minutes. What is wrong? If this is the case, you should contact the official Instant Pot support as your Instant Pot may be defective. With all the burn messages at the last 2-3 mins of cooking (I got one when I cooked BBQ chicken and there was def some burned sauce), you stated the newer versions of ISP the burn msg came on more frequently and to send it back. I don’t understand if the first version of ISP was good why mess with it! I like your versions n better than my new one. There is no manual button or separate time button. Thanks for the tips. I hope I didn’t make the mistake of buying these pots. The problem may have been fixed by now. BBQ sauce is tricky as it is sugary and thick. I made the chicken, broccoli & rice in my IP. I forgot to put the pressure to seal so it all burned. I scooped out most of the food then added water to soak the pot. The rest of the burned food came off. Now the bottom of the pot is not shiny any more. Will I still be able to cook in the IP? Sorry to hear what happened. The IP will work just fine. The not shiny thing is probably protein being stuck onto the pot. You can probably remove them by using white vinegar. Newbie here – I used a recipe for a quiche type meal. I sauteed the meat/onions and then added the 8 egg mixture and put the top on for pressure cook. . . I think the recipe was written wrong. Should I saute, wash out the pot, put water in it and then the stand and then a bowl on it to cook the egg mixture in? It’s confusing . . . Yes, you will want to use the pot in pot method for a quiche. It will be easier and no chance of burning. So I made the mistake of putting in liquid and cooking (or so I thought) without the inner pot, thought it was in there but it wasn’t, so now I get the burn all the time, how can I clean the pot (not inner) with the burn liquid so it stops? I am sorry to hear what happened. Without a picture, it will be hard to suggest how to clean it. I would suggest taking a picture and send it to the Instant Pot support. They should be able to help you better. My son gave me an instant pot for Christmas and I have never used a pressure cooker before. It seems to work OK but the last couple of times cooking chick peas end then haricot beans steam has come out of the vent( not the lid) and it had taken at least half an hour to come to pressure. When I open the lid the beans are dried up and stuck to the pot. I paid attention to close the vent…any help would be appreciated. Thank you. I would suggest removing the venting knob and rinsing the lid & venting knob to see if any food residues is there. I just got this message trying to make crack chicken with cream cheese in the pot, according to the recipe. I put in about a cup of water with 8 pounds of chicken, and 8 packets of ranch dressing, like I use in my slow cooker. The only thing I changed about the recipe was adding water. The first thing was it never came up to pressure. So I restarted it on just pressure and now I got the burn message. It came up to pressure so I’m just waiting for the pressure to fall to see what’s going on in the pot. I really hope I haven’t burned dinner! Ranch dressing usually contains buttermilk so they will burn easily. The best way is to not mix them in until after pressure cooking. Would you please give us the dimensions of your stainless steel pot – the one you use for Pot-in-a-Pot recipes? I’ve got 3 but all of them are too wide and I don’t see any on Amazon that I think would fit. Thanks! I recently got my instant pot and love it. I have made many different recipes that turn out. My problem is the timing of the recipes. For example, the receipt says set for 7 minutes and it counts down after the pressure is reached, but it is a lot more than 7 minutes. Am I wrong in thinking that the minutes should be 60 seconds? Depending on how much food is in the Instant Pot, it generally will take roughly 8 – 15 minutes to get up to pressure. It does take awhile, but think of that time as boiling water or preheating the oven. Thank you so much for these tips. I recently received an Instapot for my birthday and I am scared to try using it. Going to keep these great trouble-shooting suggestions close at hand. Thank you again. My 5 month old IP-Duo keeps giving me a burn message without reaching pressure.. Tonight it happened with 5 c of water, 1 1/4 c finely stone-ground corn meal and 1 1/2 T of olive oil. The corn meal seemed dissolved before I tried (unsuccessfully) to cook it at high pressure. I was able to save just about all of the contents, scrubbed the liner out and melted 3T of butter prior to adding back the soupy polenta mixture. This time, when I set it cook for 15″, I noticed that the keep warm light was on. Thinking that was causing the IP to overheat, I turned it off. Pretty soon, the burn message was back. There is a slight discoloration on the bottom of the heating element even though the bottom of the liner is pristine. This burn notice is a frequent problem – do you think I should try to exchange it (it was purchased from Amazon). The newer batches of Instant Pot seems to be more sensitive to the burn error. I would recommend exchanging it with Amazon. 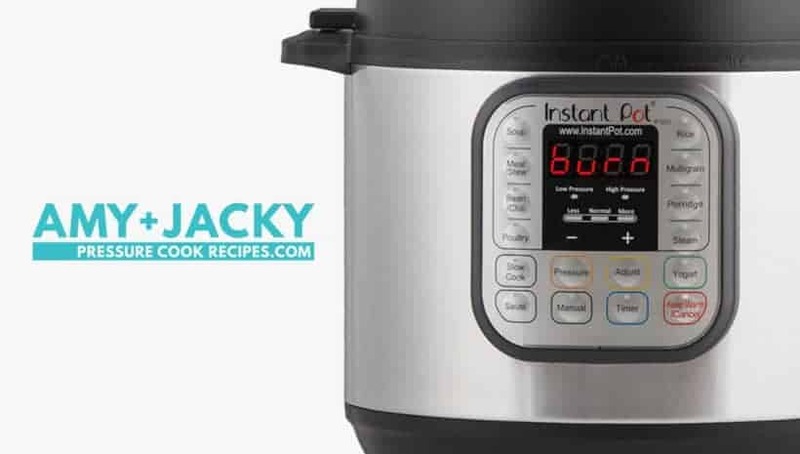 May 8, 2018 Mindy G.
– Put the silicone ring back on before you use the instant pot! I took the ring off to wash it after the last time we used the pot a few days ago, as we always do, and I came home today to water on the counter and the burn message displayed. I didn’t figure out what happened until after I read what the burn message means and checked to see that indeed the meat is well seared on the bottom and pretty stuck to the pot. Evidently we did not notice that we forgot to put the ring back on before turning on the pot this morning. First time this has happened in over a year of frequent use. Lesson learned! thank you so much for sharing your experience with us. This will be very useful to our readers. I have a fairly new 8-quart IP that I’ve used only about 5-6 times. I tried to make hard boiled eggs today using 2 cups of water in the bottom with the tray holding the eggs. It never established enough steam apparently and I got a burn error message. Can the seal already be damaged? It appears fine. It could be just not sitting properly on the lid. Check and see if it is installed properly. Thank you for great column and comments. I just salvaged my pasta dish by adding more water not knowing about layering. And also learned to wait for the hot message as you’ve said before beginning to brown my meats or vegetables. Wonderful to find you here. I’m not getting a burn error, but whenever I use the sauté option everything burns. I am constantly stirring despite oil constantly popping up at me. I use a splatter guard to try to avoid getting burned. I start stirring the moment I put things in on sauté in the hopes of no burns, but no luck what so ever. Any thoughts? You will want to wait until the Instant Pot indicator say HOT before adding oil and the food. This way the food will not stick to the pot. Until recently, I had a very loved 5-quart IP to which I had to alter recipes so as not to overstuff the ingredients meant for a 6-quart. Spaghetti and meatballs would be a common layered thing I’d make: sauce and meatballs at the bottom, pasta and water up top. Always came out great. Finally got a 6-quart and the supposed ability to do a full pound of pasta. However, the burn notice would appear often (the older model had no such thing). Not sure what to do as the recipe always seemed to work for others. Any ideas? The newer batch of Instant Pot seems to be more sensitive. I would recommend layering the water at the bottom and the sauce and meatballs up top. I just cooked a 3 lb roast for 105 minutes with plenty of liquid (two cups or more). I halved small red potatoes on top of the roast and layer carrots on top. The roast was not quite fall apart but had a dryness to it, the potatoes tasted slightly burnt yet the carrots were fine, although they could have been less done. Also, the natural release took 30 minutes. Is this normal? I’ve been reading a lot of similar recipes, some with a lot longer cooking time. What did I do wrong? All in all it seemed overdone. What the heck? Not sure what cut was used, but 2 cups of liquid is too much and the cooking time is too long. Here is our roast recipe for your reference. Wow, your site is amazing! Stumbled onto it while trying to figure out how to avoid the burn error next time I do pasta in the IP. Have found tons of useful info and recipes. Thank you!! Hi! 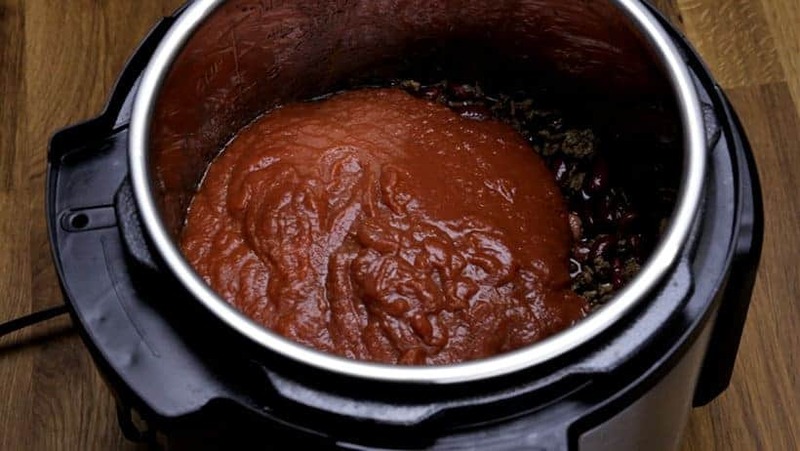 I’m new to the instant pot life – I have been struggling every time I make chili. I have plenty of liquid but I’m thinking it’s still too thick. Any idea on how to keep the burn error from happening? You can try layering the ketchup, paste, and tomato sauce on top of the rest of the ingredients without mixing. I have a brand new 6 quart instant pot Ultra. I can get the burn warning while cooking just water. Sometimes the burn warning will come on I can hear the element click to cycle off I’ll wait for 2 or 3 minutes and the element will cycle back on and the Burn Notice will go away. That happens virtually every time I use the pot. It seems to me that the temperature sensors that tell it there’s a burn are way too sensitive. Thank you for your question. Sounds like the temperature sensor is faulty or too sensitive. I would recommend contacting the Instant Pot support. What can you do if you already mixed the ingredients instead of layering them? I had sauteed my ground beef then added diced tomatoes, peppers, onions, broth, tomato paste and rice then mixed it all. I tried troubleshooting it and the bottom was burned so I scraped the bottom clean and tried again, even sprayed the bottom with oil and added more liquid, but it burned again. My IP won’t seal. I ended up giving up last night. How to salvage this mistake once it’s been made? I know now never to mix and to layer. I would recommend pouring everything into a stainless steel bowl and cook the meal using the pot in pot method. I have been covering the vent release with my silicone pad so steam does not shoot up in the air. Will this cause damage to my lid so it won’t function properly? Please answer asap, don’t want to damage my Instant Pot. A silicone pad is not recommended as the steam will need to escape somewhere. I am somewhat new to Instant Pot cooking. I have made a few things with it successfully! One of the first recipes I made was one pot spaghetti, which turned out well, but I felt it could have been better! The recipe called for 1 jar spaghetti sauce and 2 cups of water! I felt the water, watered down the sauce too much! So, the last two times I made this spaghetti, I got the burn notice! I used 2 jars of sauce and the same amount of water. Should I have doubled the water and added 4 cups? I deglaze the pan after sauteing hamburger! Should I add the water on top of the hamburger then the sauce, then noodles? Does the noodles need to be covered by liquid? Any help is much appreciated! The sauce can’t be too thick or the burn notice will appear. It will be better to layer the pasta sauce on top with the water at the bottom. I’ve been doing fine up until now. But, today I was making peach jam. I didn’t realize the burn message was on and walked back into the kitchen to find syrup all over the counter. Oops. I’m not even sure if the jam will still set up now. Anyway, I’m not sure how to correct this for next time. I can’t exactly add more water. Sorry to hear what happened. It sounds like the pressure cooker was not sealed properly. Thank you for the useful article. I have yet to get the Burn/overheat error message but if I do I won’t be as stressed as I would have taken unaware. Feel free to reach out to us if you come across any questions. I have only used my IP about 5 times. Every time I had more than one cup of liquid. It always says burn on it . One time I had ham and beans in it. I had chicken broth and water covering the beans. The pot was half full of liquid. The burn icon still came on. Help? Try adding 2 cups of water into the Instant Pot and pressure cook for 10 minutes. If the burn message comes on, you should contact the Instant Pot support team. I just ordered a 8 Quart Duo ip and now am a little nervous about this burn message you all are talking about. Did I make a mistake by ordering the 8 instead of 6 quart? No mistake was made as both 6qt and the 8 qt are great machine. I got my IP for Xmas so still just experimenting. I tried making your chili recipe – followed the instructions to a tee: scraped bottom, left crushed tomatoes on the top and didn’t stir…. still got the burn message. Nothing was burned or even stuck on the bottom. Checked everything in this article too. He chili was hot so I’m just eating it as is. How much water should I add next time, I don’t want it to be too watery? I have an 8qt, not sure if that makes a difference. The newest batch of Instant Pot seem to be very sensitive with the burn message. Some of our readers have reported getting the burn message while doing the water test or cooking eggs on a trivet. Hopefully the Instant Pot company will have a solution for it soon. Yes, it will reset itself when you unplug it. Hi! Great article. I sauted the meat in a separate pan and added the finished meat sauce to the instant pot and then followed the instructions. It said burn. I scraped the bottom and tried again and it burned again. Should I have added water or broth? Any suggestions? Yes, it need at least 1 cup of water or broth. You say to set Venting Knob to Sealing Position every time you start pressure cooking. This seems to contradict the manual and every recipe I’ve tried so far that says to use natural pressure release. Should I change how I follow these recipes? I must be misunderstanding something. You will always want to seal the Instant Pot when you begin pressure cooking. In order to seal the Instant Pot, we have to turn the venting knob from the venting position to the sealing position. 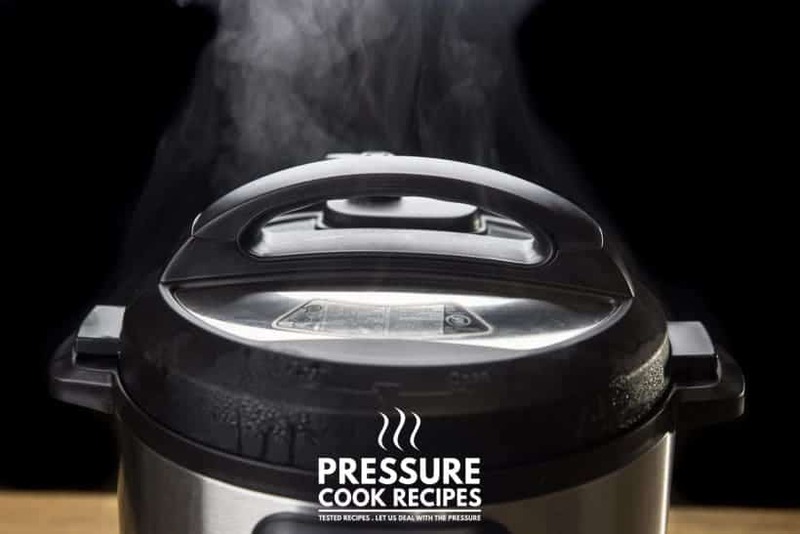 As for natural pressure release, this is at the end of pressure cooking. To do a natural pressure release, keep the venting knob at the sealing position until the floating pin (metal pin) has dropped. At the beginning of this article, you mentioned that the newer models are more sensitive and give burn messages for no reason. What do we do when this happens? I made a chili that dozens of people have done successfully and I had 3 burn messages. I know for a fact nothing was stuck to the bottom the first 2 times. By the 3rd msg, I did feel things needed to be scraped off but the chili was almost done so I didn’t worry about it. I would add more liquid to see if it helps. Make sure to layer all the thick ingredients on top without mixing. It seems like the newest version of Instant Pot are more sensitive with the burn code. Steel cut oats need more than 1 to 2 ratio. Please see this recipe for reference. Newbie Instant Pot use there. This is the third time my Instant Pot burned the bottom despite following the directions on the recipes. I’m not giving up and keep trying different recipes. Question: do you shorten the amount of cook time when you recook burned food? I dump out food and clean off the burned bottom and then i’m unsure if I should cook it for the same amount of time. Thanks in advance! It will depend on how long the food has been cooked. I have a stew recipe that used vegetable juice (V8) as a base. That’s the only liquid. Do you think it would work in IP without burning? It will depend on the amount & the other ingredients as well. If the message doesn’t come back, it should be okay. I want to make mashed potatoes and meatloaf in stackable pans-do I put meat in bottom pan and potatoes in top pan with water clear on bottom? Do I leave the lids off until ready to store? Need help please! You can make the mashed potatoes directly in the water and layer the meatloaf on top. or You can have water at the bottom and layer the potatoes on a trivet and then layer the meatloaf on top. I make homemade spaghetti sauce with crushed tomatoes, sauce and paste. I burnt it in my instant pot. Any suggestions? I drained the top sauce, cleaned the pan and put back on sauté to finish thickening. It was most likely too thick. I would layer the crushed tomato and paste on top of the sauce next time. For your reference, here is our Spaghetti sauce recipe. Absolute perfect timing! Love your site! Was able to successfully diagnose issue and rescue meal. Thank you! Thanks so much for the tips. This ca,e in very handy as I had a similar situation with too thick of a sauce in my beef stew and couldn’t get the instant pot up to pressure. Great tip to add only the thick sauce at the top. I got my instant for christmas. I really love it. But my son had to get the only one left which was the display. Was there suppose to be a recipe book included? I didn’t get one. Yes, it should come with a recipe book. There is also an Instant Pot app you can download to your phone, etc. Hope this helps.